He scooped some water from the stream. Carefully scoop out the pulp with a small spoon. Ralph scooped up a handful of dirt. Cut the tomato in half and scoop out the seeds. Japanese investment has revitalized this part of Britain. The international community pledged $500 million for economic reconstruction. Don’t blame me (= it is not my fault) if you miss the bus! You can’t blame the government for all your troubles. Organizers blame the weather for the low turnout. You can’t blame all your problems on your family. We hope to make an arrest in the near future. We had to remove the lock on the door to gain entry. The burglars gained entry by a top window. Police gained entry by breaking a window. 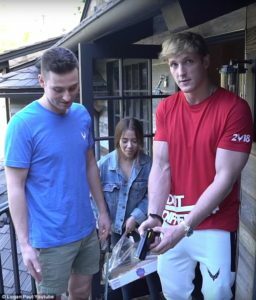 Unaffected YouTube star Logan Paul has sparked controversy again by tasering two dead rats in his latest video just a few weeks after vowing to be more sensitive towards the issue of death. Paul, who took a three week hiatus after being universally slammed for picturing a suicide victim and laughing as they hung from a tree in Japan last year, uploaded the new video to his channel on Monday. 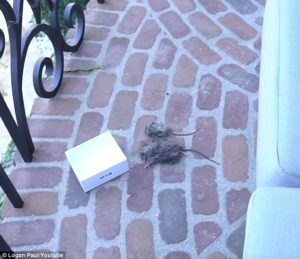 It showed him padding around his $6.5million mansion in Encino, California, showing off his ‘Maverick’ merchandise and leading viewers out onto his bedroom balcony where the two dead rodents were. He said they had been brought there by his Pomeranian Kong. An assistant later admitted to putting one there. With the same assistant and another friend by his side, Paul stood over the dead rodents on his balcony and pondered how to get rid of them. The west of the city was largely unaffected by the bombing. Flights out of most major airports were unaffected by the snow. Internet access will be unaffected by the upgrade. Peace talks resumed this week after a five-month hiatus. The company expects to resume production of the vehicle again after a two-month hiatus. He got out of bed and padded across the carpet. She pads around the house in bare feet. He padded across the thick carpet. When you stand over me all the time, it makes me nervous. She sat back for a minute to ponder her next move in the game. The back porch is a quiet place where I can ponder. After firing his taser, he used the electric wire still connected to one of the rodents to lift it into the air. The camera zoomed in on its body. Later, after they had been place into a large trash can, Paul tasered them again. ‘Why? It’s already dead! Why?’ his assistant yelled. 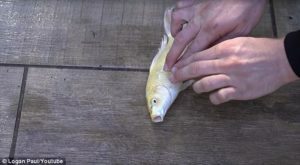 Earlier in the video, he was filmed scooping out a languid fish from his extravagant coy pond and giving it CPR to ‘revitalize it’. Tests will be administered to schoolchildren at seven and twelve years. She administers medicines to patients. Switch off the electric current before changing the bulb. The boat drifted with the current until it was miles from shore. It would be too extravagant to go by taxi. It was very extravagant of you to buy strawberries out of season. Viewers who are still reeling from his misinformed suicide forest video last year were not impressed with the content. They took to Twitter to complain in their droves about Paul’s ongoing insensitivity. ‘I’d love to say Logan Paul has changed and learnt to respect dead things since coming back on YouTube. ‘But now he’s just tasering them instead,’ said Twitter user Elliot Hackney. ‘Logan Paul reckons he’s a changed man since returning to YouTube; especially after the…incident a few weeks back. Now he’s tasering dead rats; how is this acceptable?’ asked John Armstrong. ‘At least he moved on from dead people to dead fish and dead rats,’ quipped another. We were reeling (in amazement/shock/delight, etc.) from/with the news that we had won all that money. The banks were reeling from the unexpectedly large losses. Our team is reeling from five straight losses. I think it’ll work. What do you reckon? I reckon there’s something wrong with him. 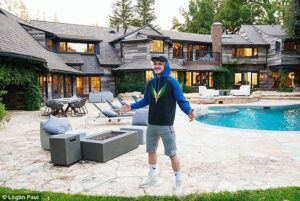 Paul, who made $12.5million in 2017 thanks to ads on his YouTube videos and sponsored Facebook and Instagram posts plus sales from his Maverick merchandising, returned to YouTube earlier this month after a three-week break to ‘reflect’ on his content. 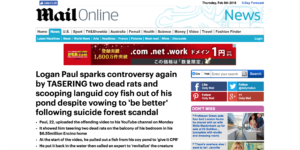 On January 31, he appalled viewers by uploading footage of a suicide victim hanging from a tree in a forest in Japan. Paul and his friends had jokingly gone to spend the night in the woodland and giggled how they told viewers that it was ‘haunted’ by the souls of the thousands who take their lives there. They came across the man by accident but continued rolling and zoomed in on his dead body as Paul shouted: ‘Are you f**** with us bro?’ before calling police. He was universally condemned and took the footage down not long after it was posted, later posting a grovelling Twitter apology before signing off. He dedicated his first video back to suicide prevention and pledged $1million to charities which support the issue. She felt she needed time to reflect on what to do next. What really appalled us was the racist nature of his speech. I was appalled at/by the lack of staff in the hospital. The state of the kitchen appalled her. Stop that giggling in the back row! She giggles at the smallest thing. We giggled at the back of the room like naughty schoolchildren. The children giggled all the way through the film. Everyone said the house was haunted. His humility did not last long. Just a few days after the video was uploaded, Paul played the victim during an interview on Good Morning America where he bemoaned the fact that the scandal had lost him millions of dollars. ‘It’s been tough, cause ironically I’m being told to commit suicide myself,’ said Paul. He then told interviewer Michael Strahan that the fault lay with the parents of teenagers who allow them to browse the internet unmonitored. ‘I’m going to be honest with you, Michael, I think – I think parents should be monitoring what their children are watching more,’ said Paul. On February 4, two days after the interview, he posted a video to his vlogs channel where he jokingly referred to the scandal and his break from the spotlight. He doesn’t have the humility to admit when he’s wrong. They might be very rich, but it wouldn’t hurt them to show a little humility. The fault was/lay with the organizers, who failed to make the necessary arrangements for dealing with so many people. The driver was at fault (= responsible) for the accident – he was going too fast. 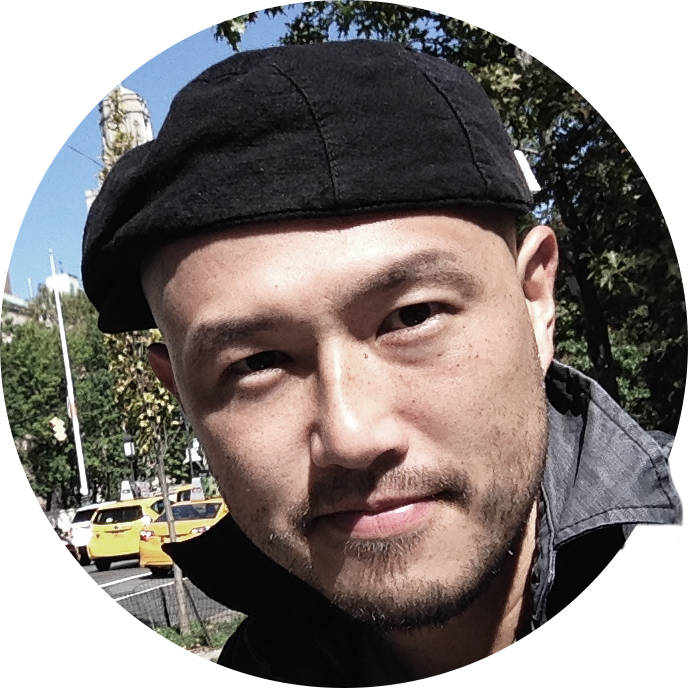 The CIA were monitoring (= secretly listening to) his phone calls. Staff will monitor his progress. Police officers have been closely monitoring the organization’s activities. The nurse is monitoring his heart rate and respiration. Appearing on a beach as a dishevelled wreck, he argued with a spoof commentator who, in a voiceover, labeled him a disgrace, saying: ‘What you mean disgraced? Boy I took a break. Besides, I’m still lit AF. 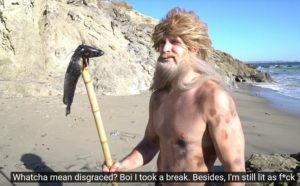 In that video, he appeared shirtless with a fish on a spear. On Tuesday night, with the criticism for his latest video growing, Paul returned home to his luxury house to find an intruder sitting on his couch, charging his phone. He made a citizen’s arrest then waited for police to arrive, according to TMZ. Sources said the man was a fan who simply wanted to meet the internet star. Paul and his brother Jake are among the highest-earning YouTube stars in the world. Like his brother, Jake has run into controversy. Earlier this month, he was filmed rapping the N-word during a freestyle performance in one video. He has also terrorized neighbors in the plush California enclave of Calabasas where he owns a $6million home. He ran in looking dishevelled. She felt an absolute wreck. The stress she had been under at work reduced her to a nervous/quivering wreck. They did a spoof on/of the Nine O’Clock News. It was a spoof cowboy film. The book ends with a hilarious spoof of an academic conference. Famous actors often provide voice-overs for ads. You’re a disgrace to your family! Three families living in one room – it’s a disgrace! It’s a disgrace that the government spends so much on guns and so little on education. Hawkins described the team’s performance as a disgrace. This gang terrorized the entire community. Street gangs have been terrorizing the neighbourhood. Campione d’Italia is an Italian enclave in Switzerland. Yorkville was an enclave of German immigrants.